I have some great news! Today is my 3 year Natural Hair Anniversary! I am so happy and proud of myself for sticking to it. This journey was not an easy one, but, it was well worth it. It took a lot of patience, research, time, and experimenting. Other than that, going natural was the best decision I made. In the summer of 2010 I decided to go natural so I transitioned for about 3 months, too afraid to do the Big Chop. I was all, "I will grow my hair without doing the 'BC'." Little did I know it's hard to transition especially maintaining it. The reason being, there are two completely different hair textures to care for, relaxed hair at the ends and natural hair at the roots. It was tough. I had to care for two different textures that weren't working well together. At the time I didn't know about YouTube and/or how to take care of my transitioning hair. I was a bit naive to the whole transitioning process. I was also harming my hair more than I was taking care of it. I knew I wanted longer/healthy hair I just didn't know how to go about it. I got a blow out, used a rat-tail comb, I hardly deep conditioned, and I did not oil my hair. I should have taken better care of my hair. Anyway, after three months of not knowing how to care for my hair properly and doing more damage than good, I decided to relax my hair. I just didn't know how to care for my natural hair but I knew how to manage/deal with relaxed hair. Going back to relaxers was not a good choice either because my hair was growing and breaking off at the same time. I switched to another hair stylist thinking that would work, but, it only improved some what. I was still dealing with breakage. It was like my hair was growing and thinning at the same time. I had enough of this so in the summer of 2011, Aug. 13, 2011, to be exact, was the last time I relaxed my hair. I decided to transition to natural hair again and this time I did not quit. I was determined, so, I began doing some research on taking care of natural hair. I don't know how but I ended up finding YouTube as my main source for inspiration and information on natural hair. 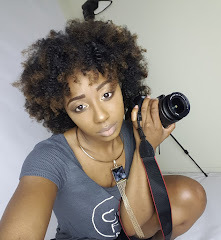 I looked at a lot of different Natural Hair Vloggers on YouTube for inspiration. I watched Taren Guy, Mahogany Curls, Chime Edwards, Natural Chica (Nikkimae 2003), My Natural Sistas, Janaé Miller Salons and Naptural85 videos to help me on my journey. They were so helpful and gave me so much hope and motivation. They are all such amazing and empowering women! Thank you ladies for your help! -Sidebar, I did a blog post on Chime Edwards and Mahogany Curls! With the help of the YouTube vloggers, I transitioned for about 6 months and then I did the big chop to become officially natural 3 year's ago today on February, 26, 2012. That was such a freeing and liberating experience for me. It felt good to chop all that dead relaxed hair off. Although I loved chopping off my hair it did take me a while to get comfortable wearing it out. I had to turn to the vloggers to learn how to style it. Because it was really short, I wore wigs and waited till it gotten a little longer until I was okay to rock my TWA (Teenie Weenie Afro). I was a senior in college at the time. It was my last semester. I was preparing to graduate, May 18, 2013, when I decided to go natural. Ever since then I never looked back. I loved every minute of going natural and the entire process. I was able to get to know my hair and learn how to take care of it properly. I did have impatient moments, but I must say, this was a great three year's! Well that's my story. Thanks for taking the time out to read about my natural hair journey. If you have any questions about going natural or staying motivated in continuing your natural journey let me know. You can comment below or fill out the contact form to the right. It is a battle. As well as, a long and at times frustrating process/journey. But just be patient if you do decide to go or are natural. It was not and still is not a walk in a park. My hair tells me what it wants and needs and I listen because that helps me with hair growth and hair health. I love the entire experience. So, there are things to consider when going natural, don't let that scare you off. Educate yourself first. It will make things go smoothly. 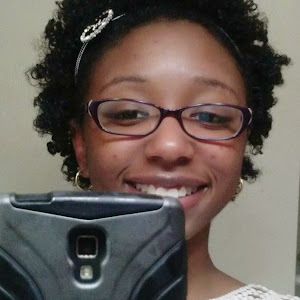 Also, curlynikki.com helped me and still does for information on natural hair tips and inspiration.